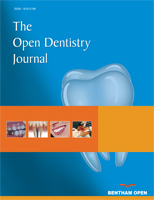 Occlusal appliances of various designs have been described in the literature. They usually have to be worn for substantial periods including night time to have the desired effect for which they are designed. The Oralift® appliance has been designed to address the signs of facial ageing and to help stop parafunctional habits. The appliance is based on the principles of the pivot appliance and is worn for very short periods, never at night and not even every day. The maximum usage recommended is two hours every third day. This is a review of five patients who have been treated with Oralift® with the aim of assessing whether the visual changes seen by wearing the appliance can be quantified by changes in volume as measured by 3D Imaging, and if this quantification could be useful in improving the outcomes for each patient. The patients were fitted with the appliances in general practice, and 2D images were taken before, during and after treatment. Afterwards, the patient attended King’s College London, to have 3D imaging. 3D imaging has been proved far superior to standardized 2D photography in assessing the changes taking place on the face, and helped quantify the volume changes. To further improve the outcome for each patient, the 3D imaging should be done before the visit to the practitioner or ideally by the practitioner so that the results could be assessed, and the treatment adjusted accordingly. The implication of the volume changes requires a much larger study. Keywords: Oralift appliance, 3D imaging techniques, 2D photography, Temporomandibular disorder, Thermoplastic material, Tick test. © 2018 N. K. Mohindra.